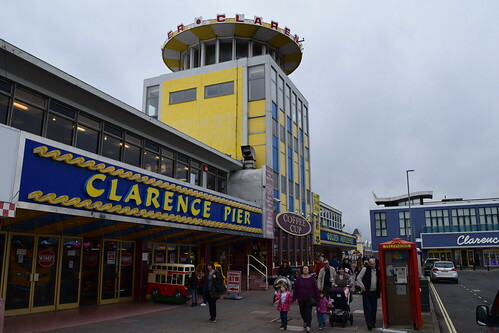 On our way back home from the Isle of Wight we stopped by Clarence Pier. 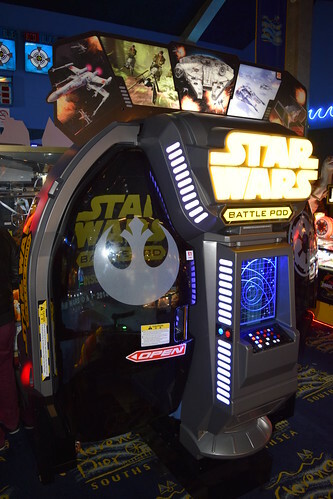 The arcade had all the latest releases, including Time Crisis 5, Jurassic Park, Showdown and the awesome Star Wars Battle Pod. 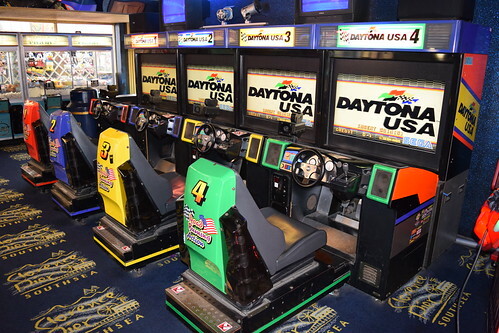 It was also nice to see this four player Daytona set-up, although the seat movement was not working. 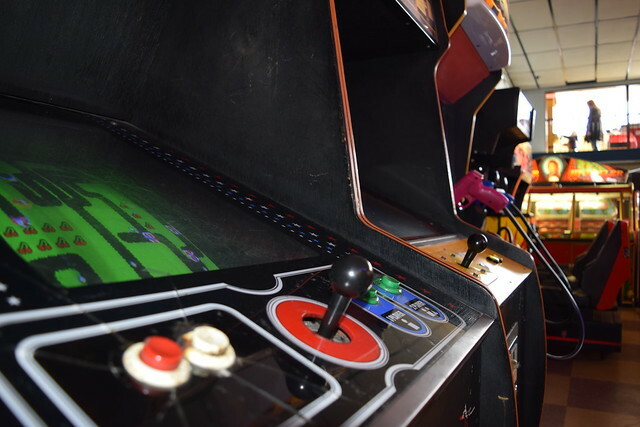 Located in the South of the Island, sadly it looks like Game Over for Ventnor’s only arcade. 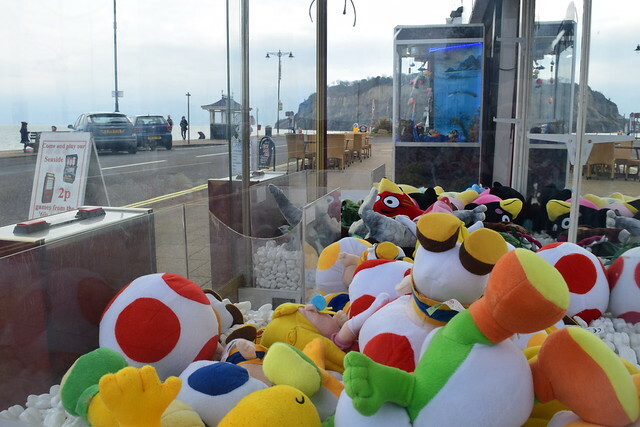 Located in the East, Sandown Pier has a good selection of large dedicated cabinets. 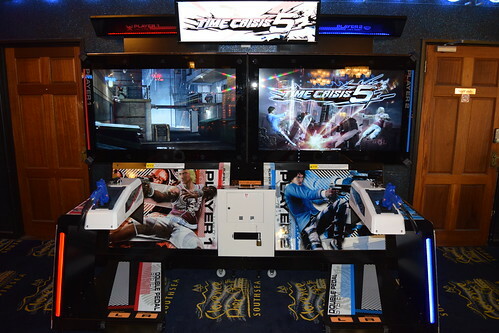 Unfortunately a few had monitor faults and hardware issues. 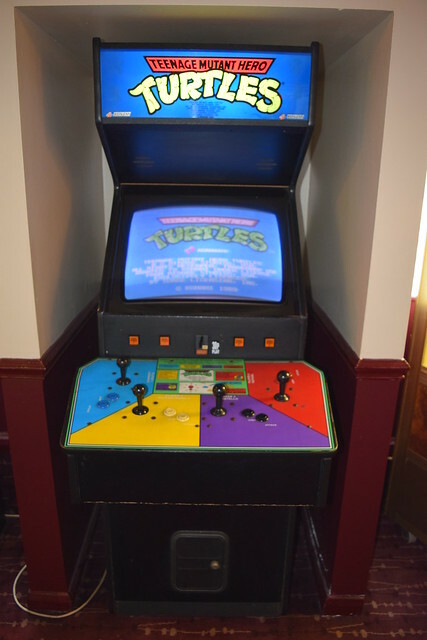 There was also another Teenage Mutant Ninja Turtles, although the monitor wasn’t quite as nice as the one in Ryde. 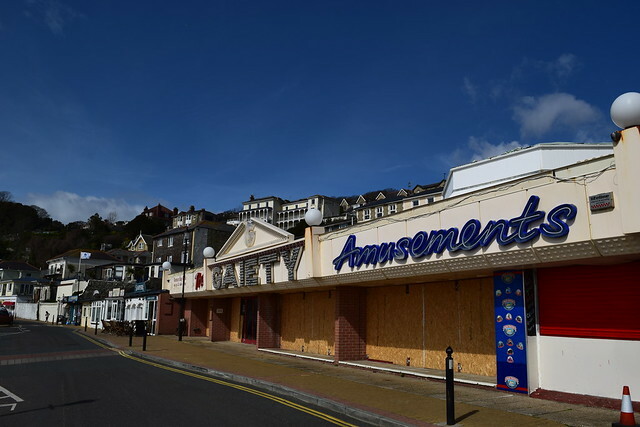 Shanklin is a stroll along the Esplanade from Sandown. 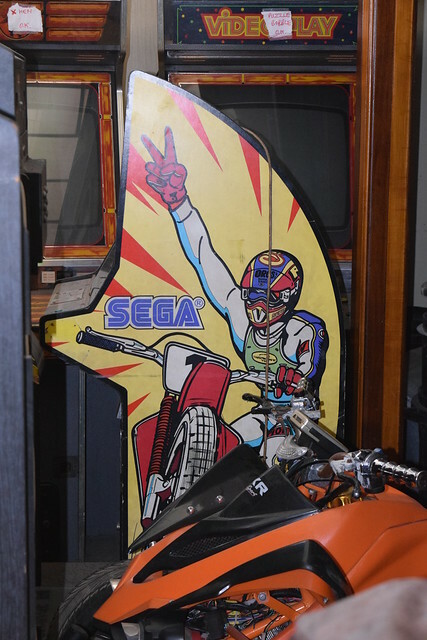 Seaside Amusements had a collection of vintage one arm bandits and two pinball machines. 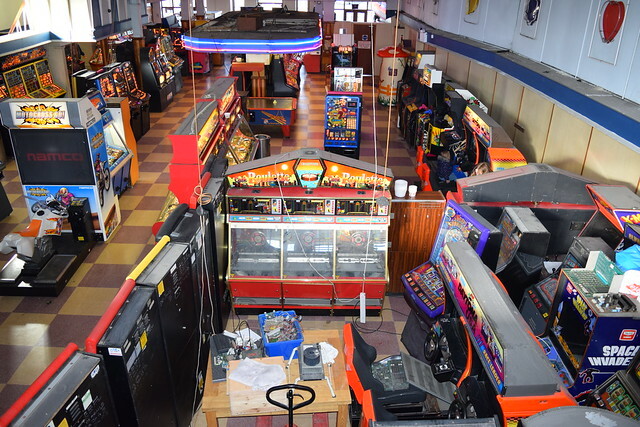 Sadly the Terminator 2 machine which was here on my last visit a couple of years ago has now gone. 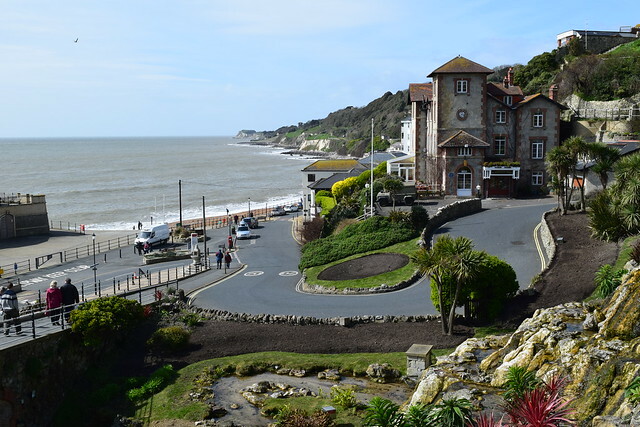 On the plus side there are some very nice pubs in Shanklin. 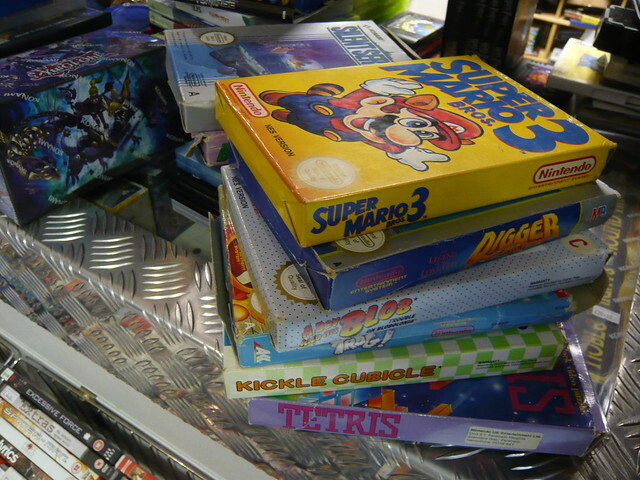 We stopped by The Village Inn and had an awesome seafood platter. 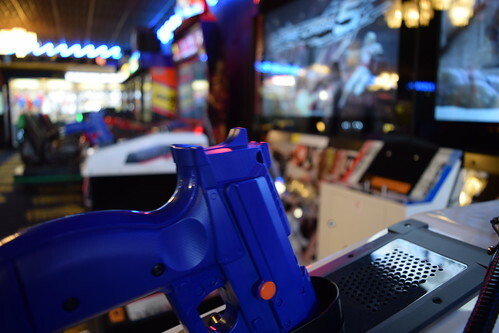 Located in the West, The Needles has a small arcade. 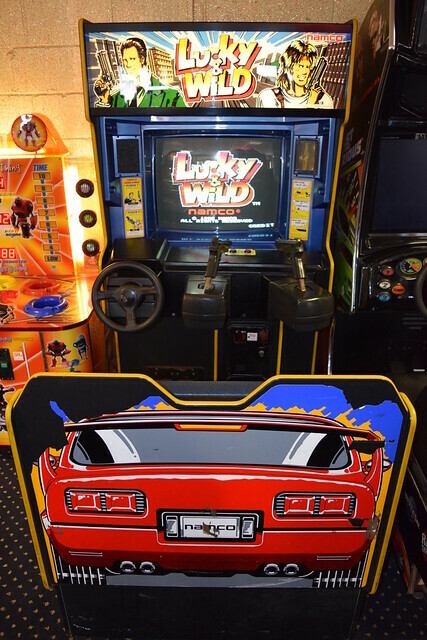 I was really pleased to see Lucky & Wild. 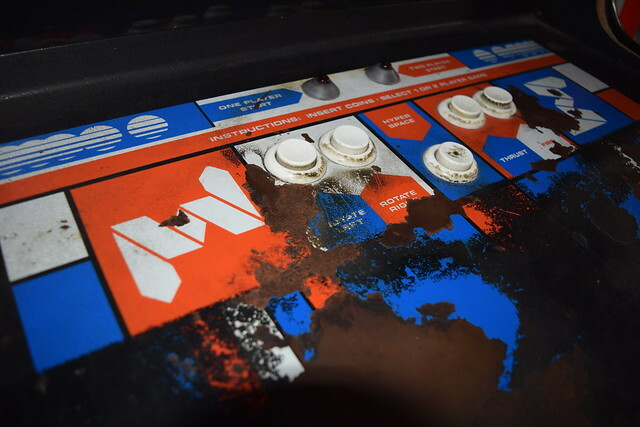 The cab looked in great condition. 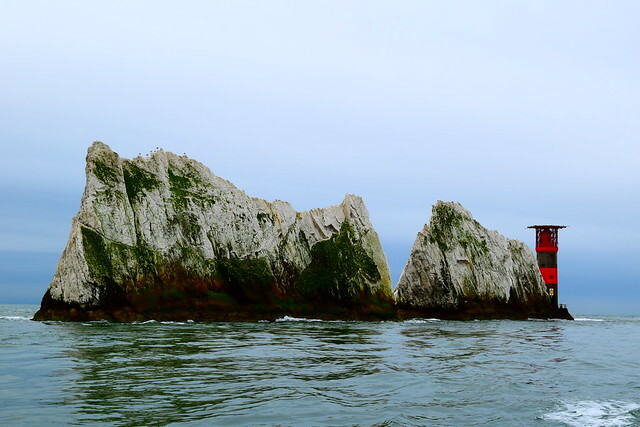 Taking the chair lift over the top of Alum Bay cliff to the beach and going on a boat trip out to The Needles was great fun and a holiday highlight. 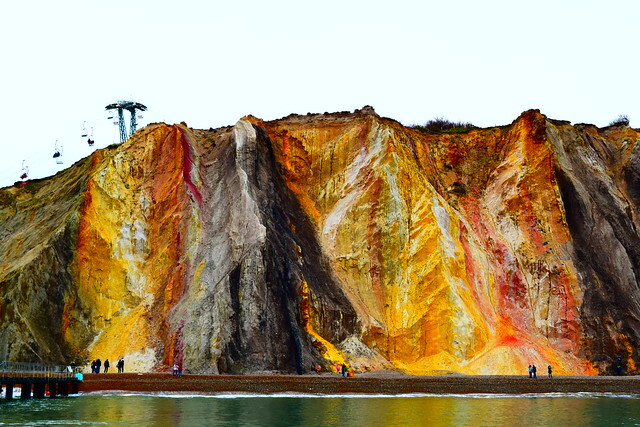 During the Easter holidays we spent a couple of days on the Isle of Wight. 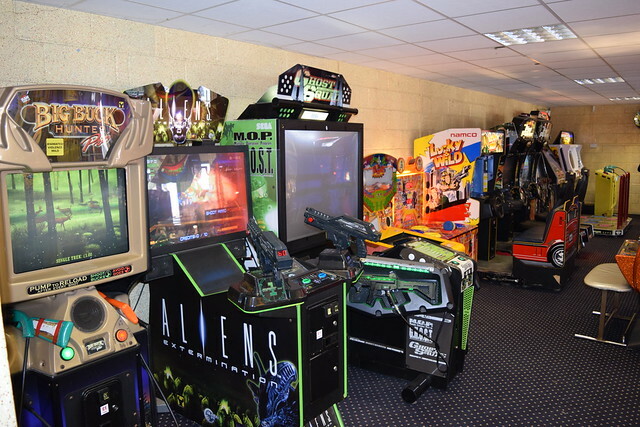 We really enjoyed our stay, with the island proving to be a great family holiday destination. 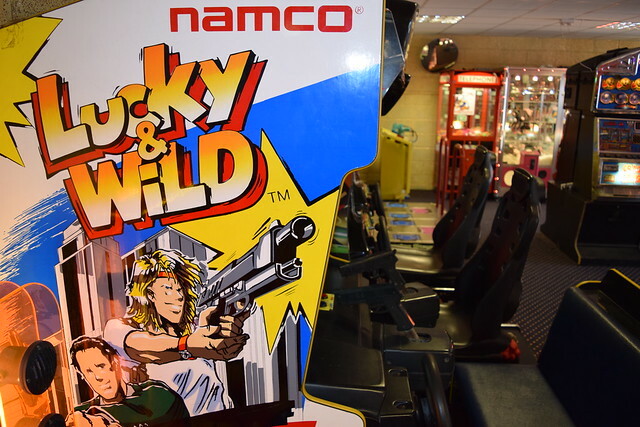 During our travels we checked out the arcades and found some real gems. 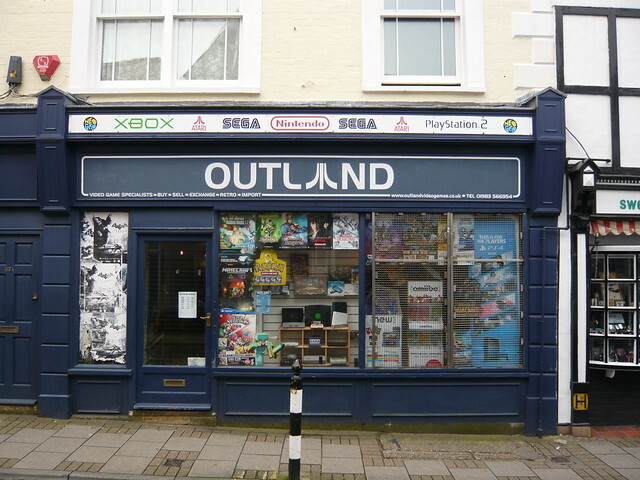 Our first stop was Ryde, a vibrant seaside town in the North East of the Island. 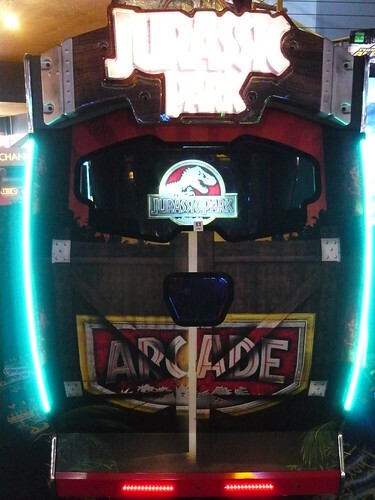 This arcade is pretty unique and has some real classics. 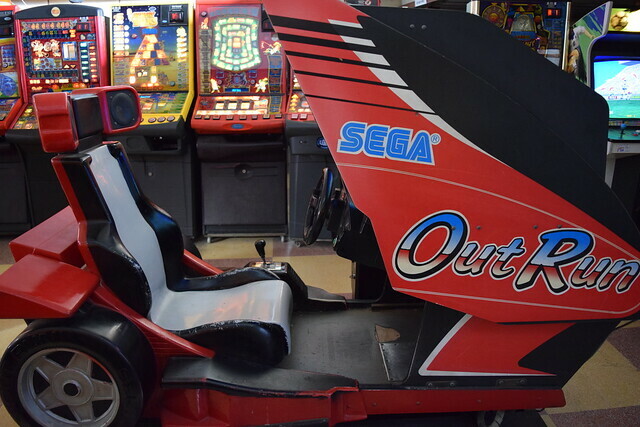 The ultimate way to play OutRun! 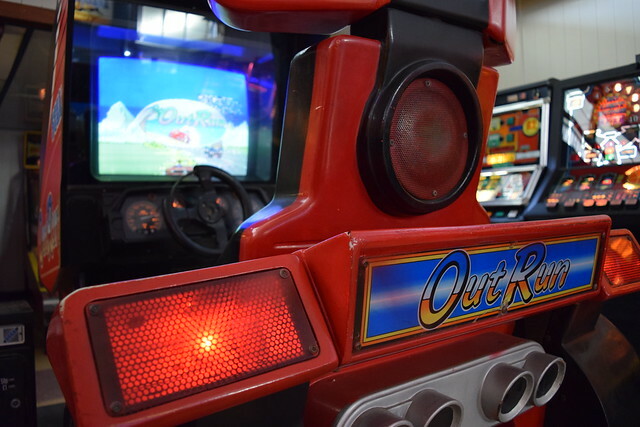 The movement of the machine, the illuminated dashboard dials, the positioning of the speakers and the subwoofer in the back seat – it’s awesome. 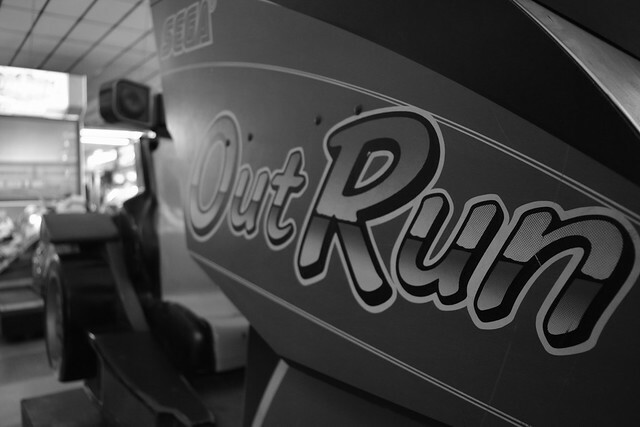 I first visited this arcade back in 2010 and at that time OutRun was out of order, so it was a nice surprise seeing it up and running. 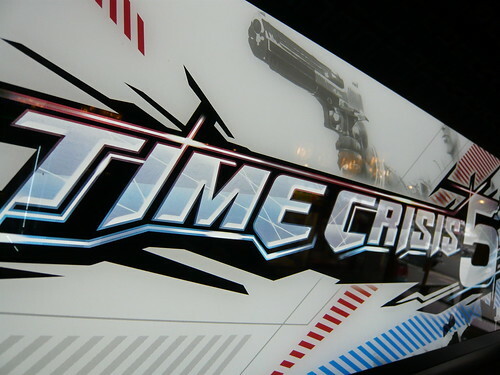 Unfortunately background graphics did have some corruption, but the game was still perfectly playable and it was a joy to play whilst whistling along to the sound of Splashwave in 2015! 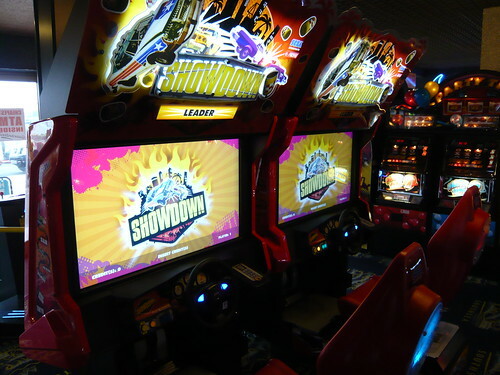 I remember playing this as a kid and never managed to do the 360 degree loop. 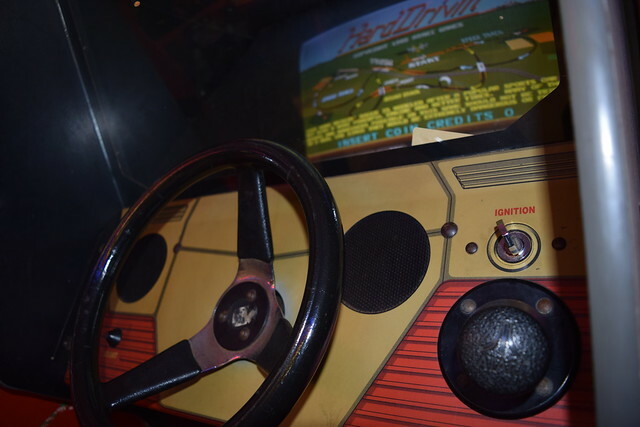 With 3-D graphics and replays, Atari was well ahead of its time. 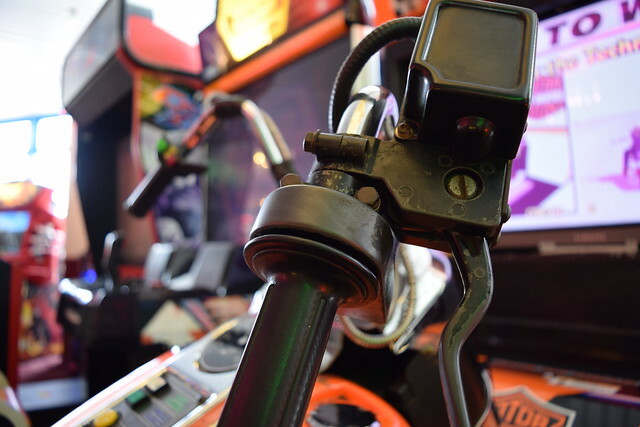 I dropped a coin in, turned the ignition key and took the wheel. 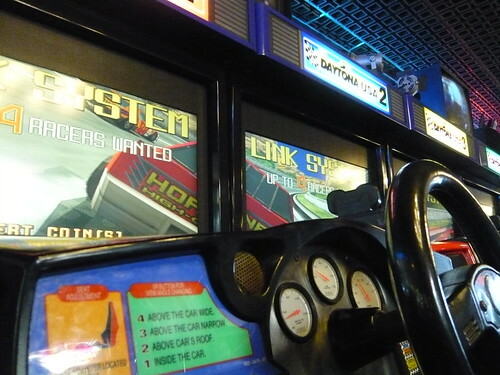 It was going well up until the first bend, suddenly feeling like I was driving on an ice rink. 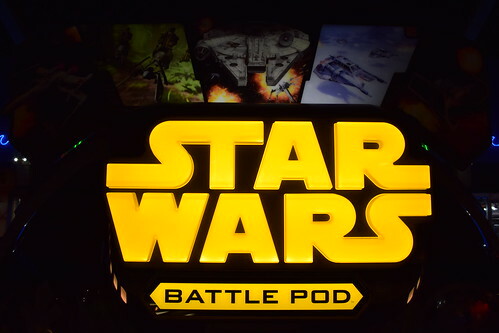 However after a few more credits my game had improved and after all these years finally managed the loop! 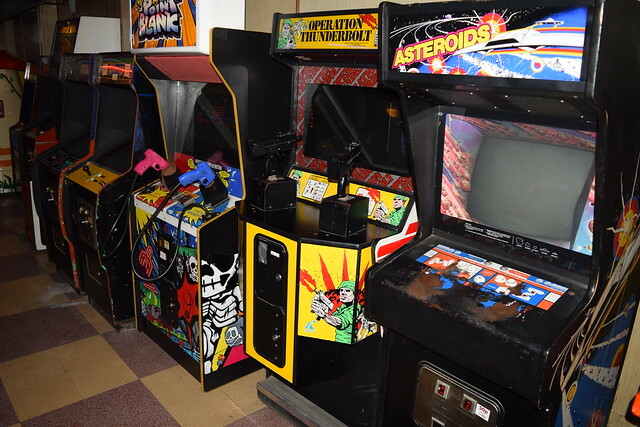 It was also nice to see Asteroids, Kung Fu Master and Operation Thunderbolt. 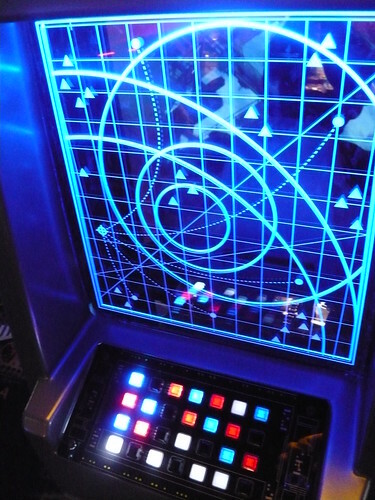 That Asteroids panel has seen some serious play! 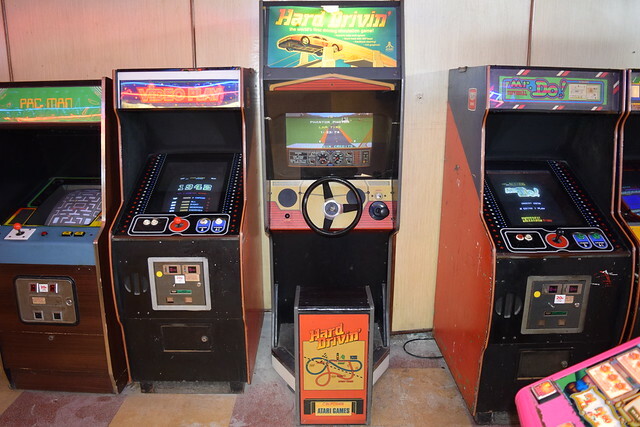 In one corner of the arcade there is a graveyard of classic machines bordered off from the general pubic by fruit machines. 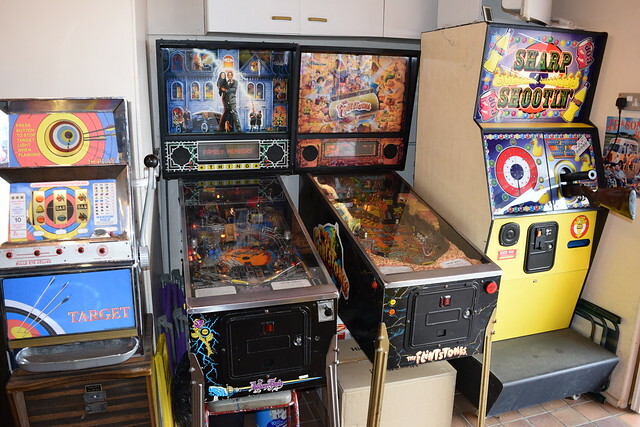 I asked the owner about these machines and he talked about the cost of running and maintaining them. 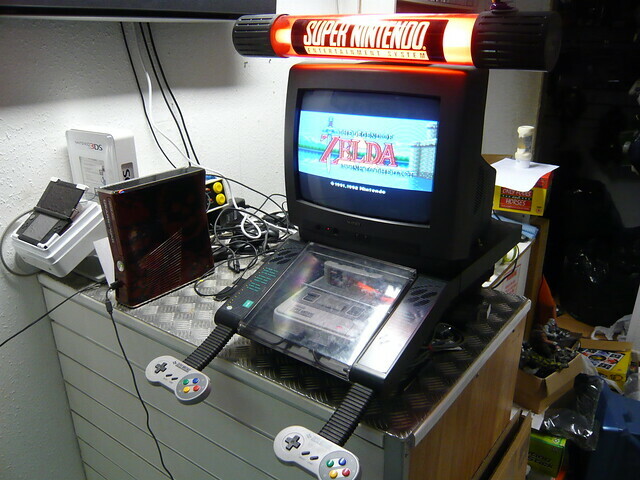 He was working on Space Invaders and keen to get it repaired and back in service. 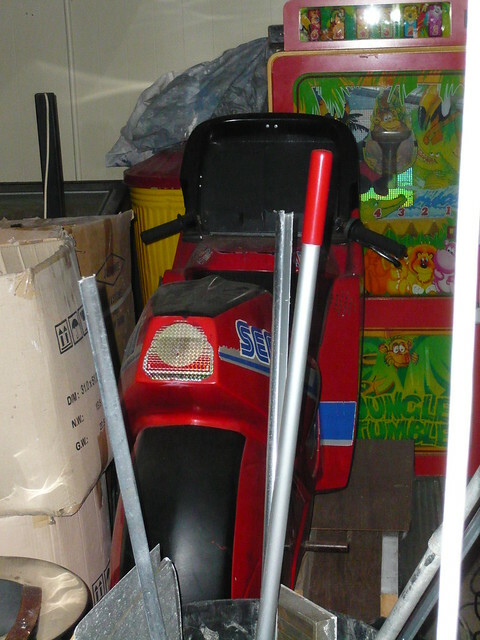 The owner said the Hang-On board had been sent away for repairs twice, and failed after each repair within a matter of weeks. 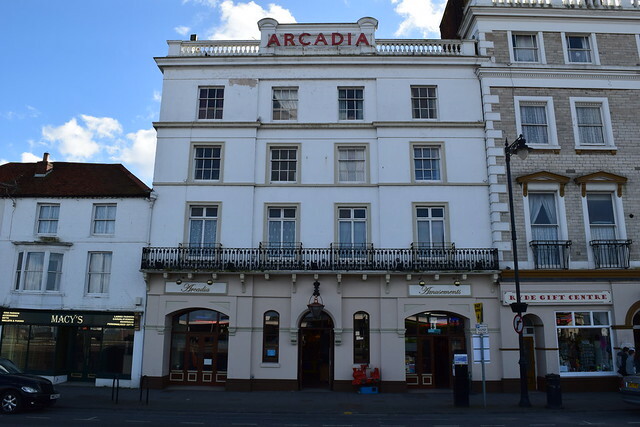 A video and some more pics of Arcadia. 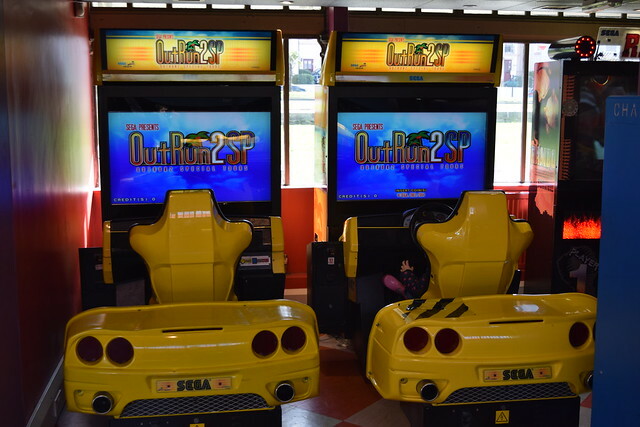 Just a short walk along the seafront from Arcadia, this venue had two very nice OutRun 2 SP DLX cabinets. 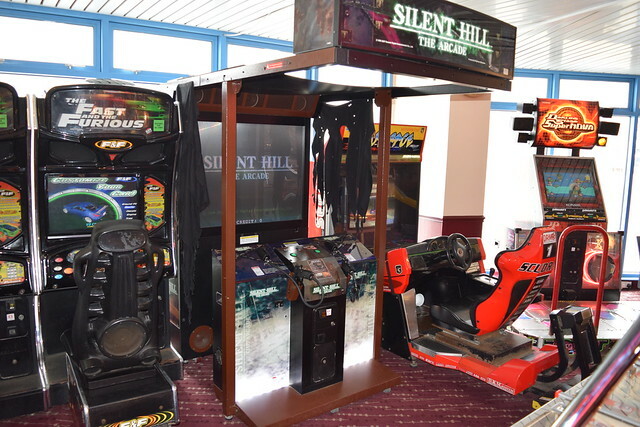 I had a walk around the arcade and didn’t see anything of interest. 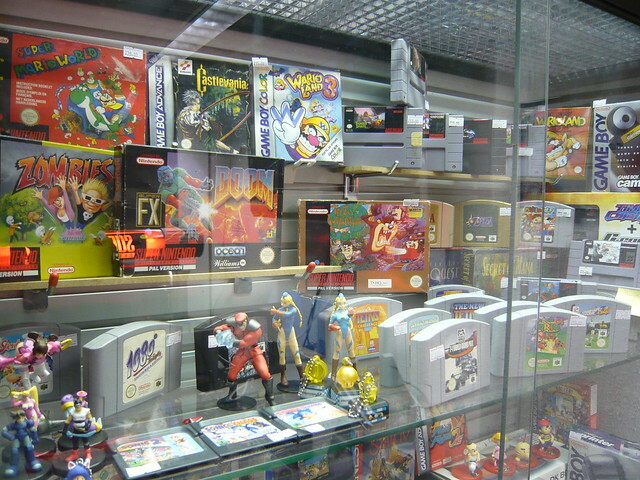 Then tucked away and very well hidden in a corner I spotted Teenage Mutant Ninja Turtles. 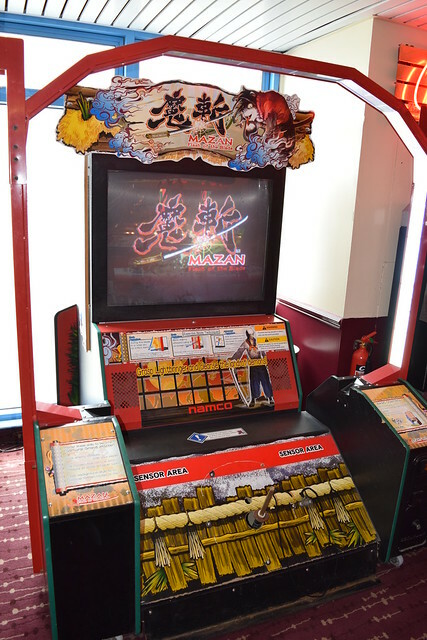 The machine was in really good condition, and proved to be a big hit with my wife and daughter! 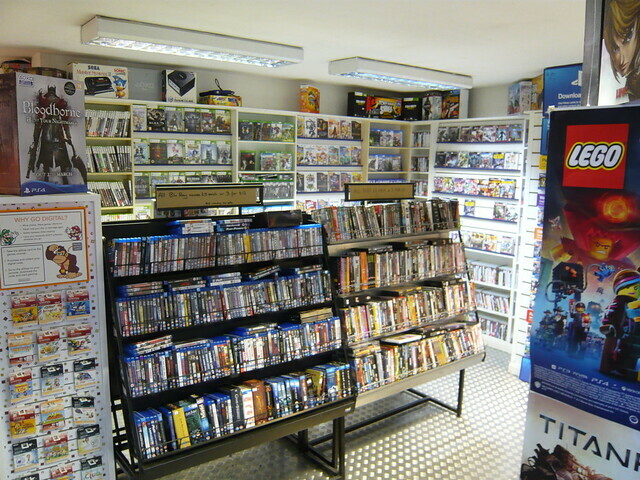 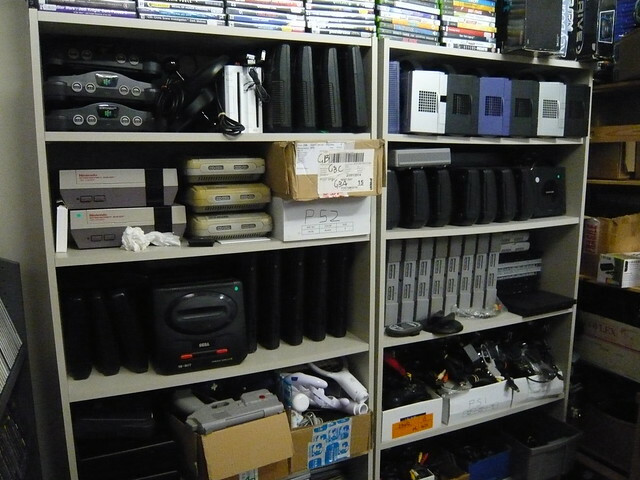 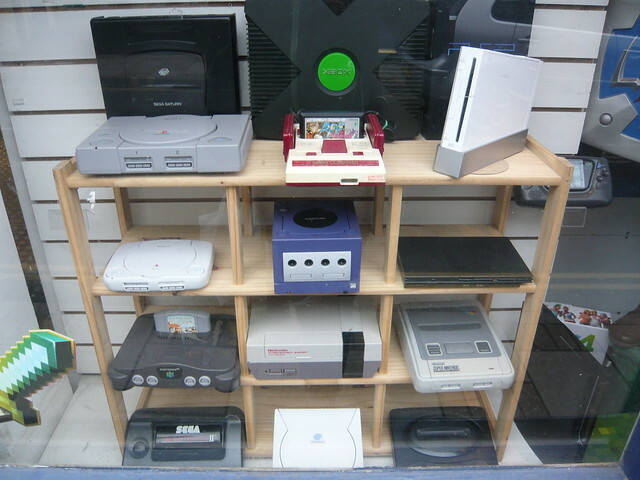 Not an arcade, but an awesome videogame shop with a fantastic range of titles across all formats.